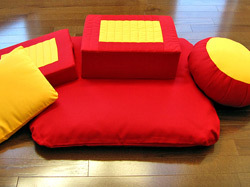 (2012) To go toward a cushion fund that would provide starter sets of meditation cushions to new groups. 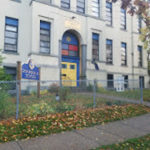 The groups would repay the fund over time, providing new funds for more purchases to support new groups. The fund would be self-sustaining. This approach to growing sponsored groups is about being proactive and seen as a pilot that can be replicated in other areas. With support and mentoring, these groups can become official Shambhala groups and eventually Centres. Additional costs, such as rent, advertising, etc., are borne by each group and subsidized by the Mississauga Centre as required. Mississauga regularly provides groups with meditation instructors and other supports as needed.